With the hair ribbon set at a natural angle at the frog the bow gains stability and traction. The musician experiences ease at playing. More sound volume. More overtones. Increased perception of you bow without changing your playing technique. 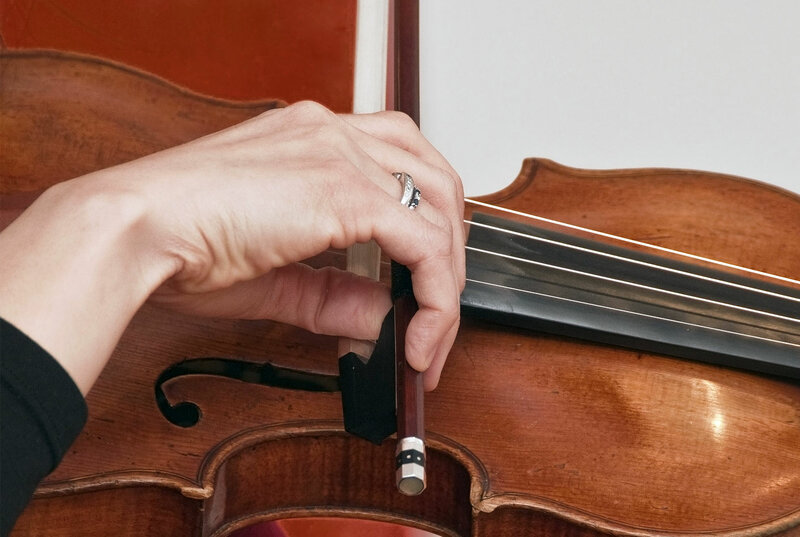 Violin performance in the 21st century needs full access to the sound and overtones of the instrument. It relies on a stable bow, responsive. The classic bow presents a difficulty: the hair ribbon lifts away from the string at the frog because the bow naturally tilts each time the hand folds toward the string; it strains the hand to keep the hair on the string. To free the natural movement of the arm and keep effortlessly a full hair ribbon hugging the string, Benoît Rolland redesigned the frog. It freed violin performance. 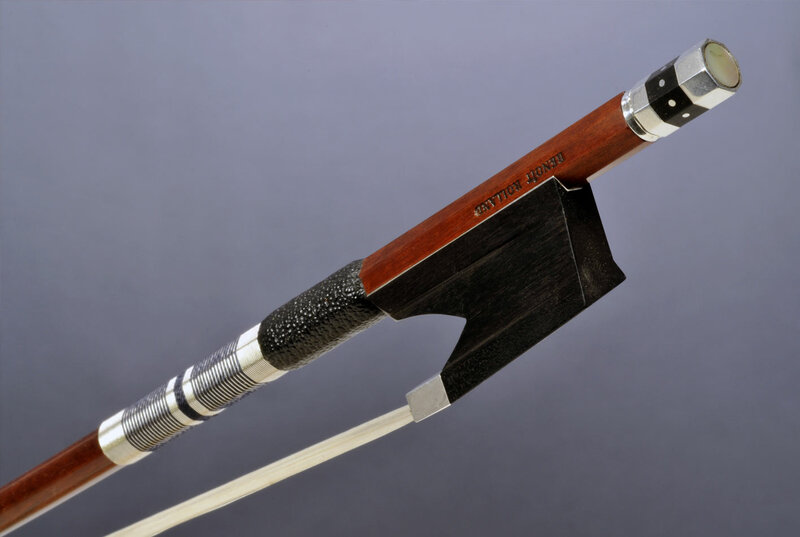 The Galliane frog is the most fundamental evolution of the bow since the 19th century. The bowing technique remains the same; weight and balance in the bow are the same. With improved control, the musician feels better the interplay and response between the stick, hair, and strings. 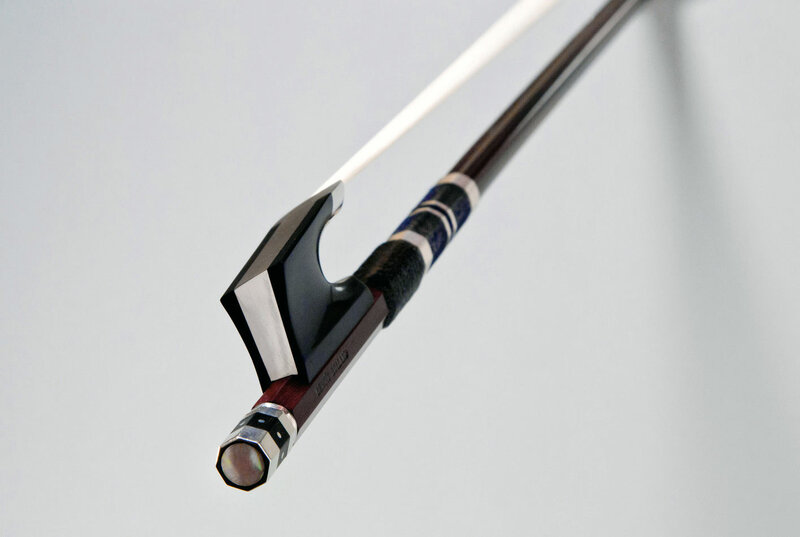 Galliane can be installed on any existing stick, including fine historical bows. : the stick is untouched and the original frog can be preserved. 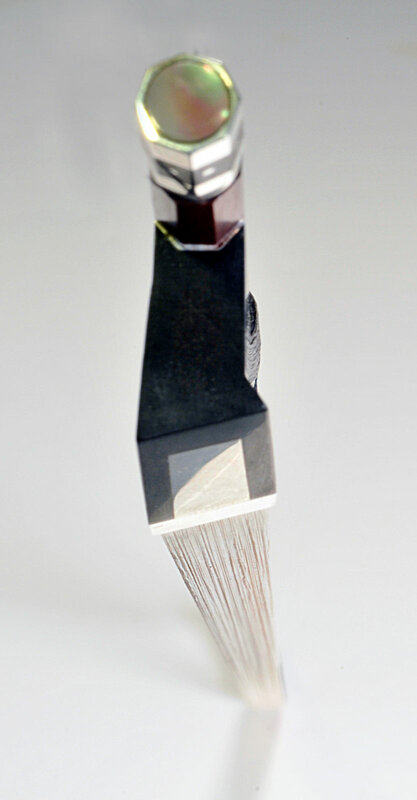 The stick is at no risk of warping because the hair ribbon is evenly distributed right and left, and its central axis is identical to the classic bow. Galliane and classic bows are rehaired identically. Galliane comes in two styles: classic and contemporary. Both include the same playing angle. Chevalier des Arts et des Lettres 2017 and MacArthur Fellow 2012, Benoît Rolland is recognized for his originality and dedication to music and bow making. In 2010, he revolutionized violin playing, when he installed a slight natural twist in the bow hair ribbon to accompany the natural playing movement: Galliane opened a new era in violin performance. With perfect pitch, Benoît started learning music at age five, studying the piano, then the violin. After graduating from the Conservatoires of Versailles and Paris, he learnt bow making from Bernard Ouchard in Mirecourt and was soon the youngest awarded Best Artisan of France, in 1979, then Maître Archetier d’Art, Paris 1983. 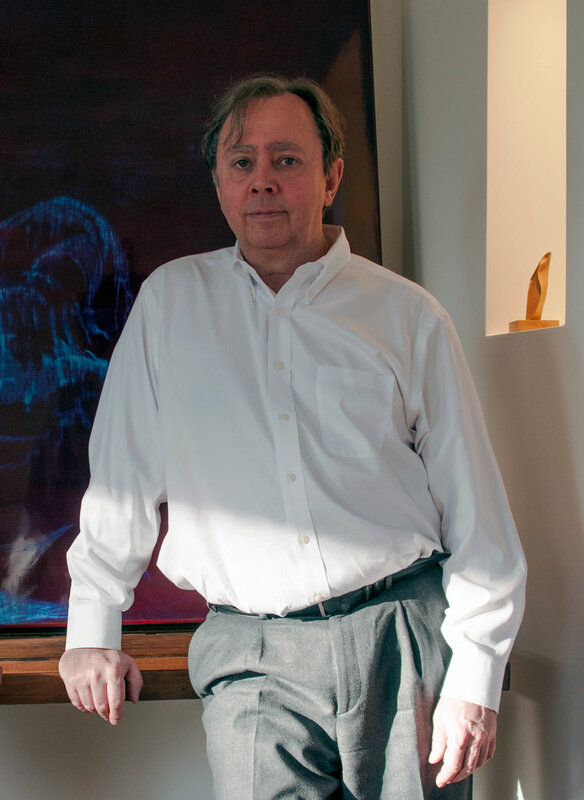 He moved his Studio to Boston, USA in 2001 where he created their bows for many leading soloists worldwide including Anne-Sophie Mutter, Yo-Yo Ma and Kim Kashkashian. Benoît Rolland continuously advanced research for music performance in the 21st century. He produced the first concert carbon fiber bow in the early 90’s and redesigned the conducting baton in 2016. ‍"A fuller sound. Connected to your body"
Ask your violin and bow maker to order Galliane for you. Galliane is made by Walter Paulus GmbH, manufacturers of fine bow parts in Germany since four generations. Once they receive the frog, your violin or bow shop will adjust it to your bow. The procedure is the same than fitting a conventional frog: see Technical Information PDF for violin and bow makers. From concept to production, we share a concern to protect the environment and a sustainable future. The materials used come from legitimate sources and handled with considerable care at Paulus Company.